Improve your home decor with the richest styles. The modern and trendy tablecloth is a must just to add a touch of delight to your home decor. The elegant tablecloth adds beauty and character to your dining table, and is sure to add flavor, texture, and depth to your living space. Table cloth is lovely however my table is 60 inches and 70 inch is too small. Wish they came larger. But not is at loss. I have a 40 inch round table and this will fit perfectly. The table cloth is even nicer in person! It’s intricate design is gorgeous. I ordered it in burgundy and love the color. Still looks beautiful after a wash, and under a plastic protector I expect it to last a long time. 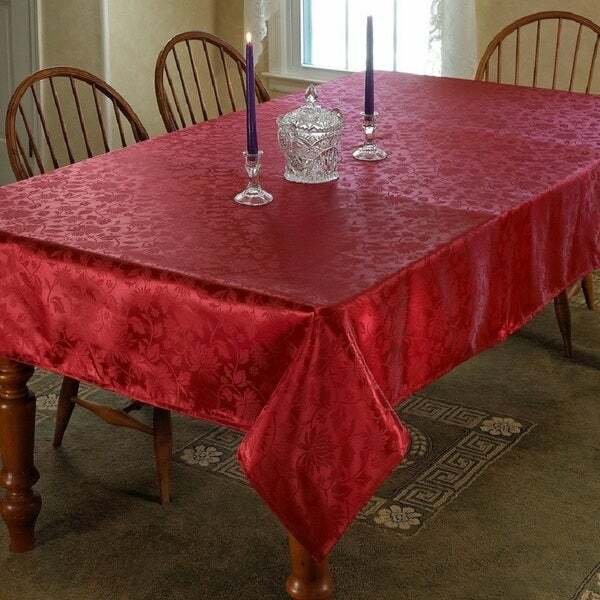 Beautiful tablecloth ~ I had been expecting more of a purple color as it was violet but it’s more of a reddish burgundy but it’s still very pretty. 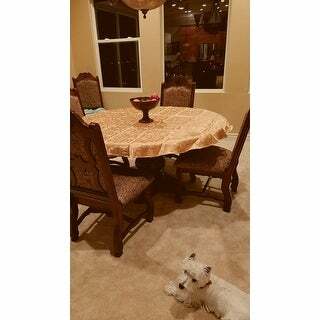 This is a nice table cloth and I bought it in gold. Very pretty. I wanted something that would not soak through which would help protect the table. I am pleased with my purchase. The material is quite thin and it was not as nice as expected based on the picture and description. I did decided to keep it as a basic day to day cloth, but was looking for a cloth suitable for more special occasions and there is nothing special about this cloth. Just OK.
Nice color for the Holidays. Fabric is thin.